Many people, from all walks of life, have realised the huge opportunities that are open to them in the Smart Meter industry. Not only can successful candidates expect salaries of 24-40k and generous benefits packages but they will also be passing through a gateway which opens up possibilities of a long-term career within the utilities industry. ECTA training are helping our metering partners to meet their recruitment needs by training high calibre meter installers via a range of specialist Smart Metering courses. If you are interested in taking advantage of the huge and growing demand for Smart Meter engineers, consider enrolling as a student with ECTA. How much does it cost to train with ECTA? 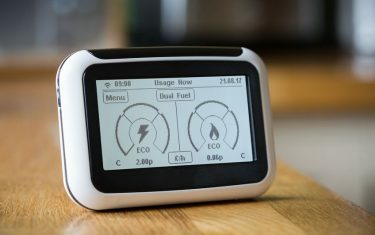 ECTA Smart Meter courses are designed to be flexible to suit each individual’s needs so we would need to speak to you directly before confirming an accurate price. Our Level Two Smart Meter courses range in duration from around 21 days up to 60 days and, depending on your level of experience, you may not need to complete all components of the course. Although this is not usually recommended, some experienced students even forego the training aspect completely and book in for the assessments only, minimising the costs further. 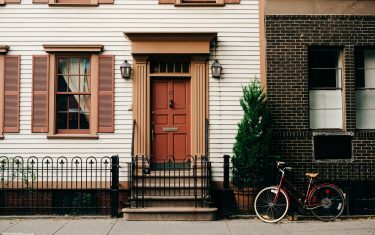 It should be clear that the above factors can have a significant effect on pricing but our friendly team will be happy to run through your personal circumstances with you and provide a price on enquiry without pressurising you to sign up. Please call ECTA on 0161 480 5656 or email [email protected] for pricing details and any other queries you might have. To further ease the pressure on hard-working families, ECTA have negotiated with our metering partners to provide at least a minimum wage during the field training part of the Smart Meter course. Other options for students struggling to afford the course fees is to seek out a bank loan, personal loan (e.g. through www.ideal4finance.com) or a grant from the government or another agency. Details of a wide range of grants can be found at the DSC site: www.governmentfunding.org.uk The Princes’ Trust (www.princes-trust.org.uk) may also be able to assist those under the age of 30 to access funding. Although there may be cheaper Smart Meter training courses out there, it is important to understand that the Smart Meter rollout requires engineers to have been trained to a very high standard, both in terms of practical skills and with regards to customer service. Booking a course with a training provider that is unable to meet these standards or does not have strong industry contacts is likely to be a false economy and make it a lot harder to secure employment afterwards. An important stipulation of Ofgem, the industry regulator, is that Smart Meter engineers must meet the SMICOP standard of customer service and communication. ECTA training are fully compliant with all industry requirements and are a leading, trusted supplier of industry skills training. ECTA also operate state-of-the-art training facilities where practical skills can be safely practised and mastered and can even offer a guaranteed route into employment following successful course completion. ECTA Dual Fuel and Gas Smart Meter courses also include ACS core and metering examinations within the course fee which ensure graduates come out with the necessary qualifications to apply for their Gas Safe registration.